The Planning Authority has approved plans to convert the scheduled Villino Zammit on Sliema’s High Street into a boutique hotel, including additional floors on part of the building. The proposal was originally recommended for refusal, amid objections from heritage groups and the Sliema local council, due to its height, use and aesthetics. Concerns were also raised by objectors over the demolition of an old wall along St Nicholas Street, at the back of the site. However, at a hearing last year, the majority of the PA board indicated they would approve the application after revised plans were submitted eliminating one of the proposed floors, as well as retaining the villa gardens. The board gave the final go-ahead to the proposal at a hearing on Thursday despite objectors’ sustained opposition. Finalised feedback from the Superintendence of Cultural Heritage (SCH), requested by the board at a prior hearing, was not presented before the decision was made. The heritage watchdog had previously warned that the development would affect the character of the Grade II scheduled building, which dates back to the late 19th century and was de-signed by acclaimed architect Francesco Zammit. 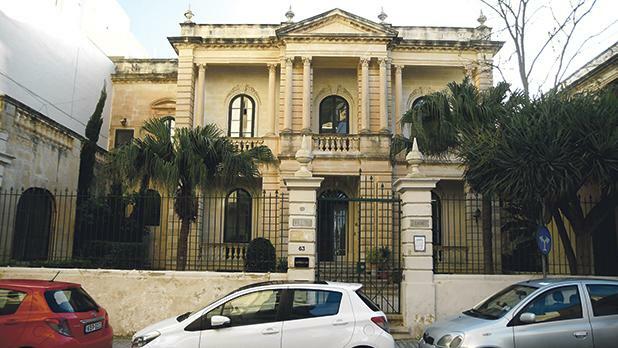 Objectors, including the Sliema Heritage Society and Din L-Art Ħelwa, highlighted concerns during the hearing over the project’s visual impact and the demo-lition of an old ‘rubble wall’ along St Nicholas Street. Heritage groups say the old wall was part of the original villa design and unique to the Sliema streetscape. It will be replaced by a new screen wall designed to mimic a traditional Maltese streetscape. The groups welcomed, however, the decision to retain the villa’s gardens, having previously called on the PA to grant them scheduling status to ensure their protection. Plans to extend a driveway into the front garden were dropped and interventions in the back garden significantly scaled down. The approved permit follows another issued in 2014 for the building to be restored as a residence, and for a swimming pool to be built in the garden. An earlier 2003 application to convert the villa into a casino and restaurant was withdrawn by the applicant. Villino Zammit was built in the late 19th century by philanthropist Alfonso Maria Galea and his brother-in-law Agostino Borg Cardona, together with the neighbouring Betharram (now Fatima House), on the gardens of the now-long-demolished Hunter’s Palace which belonged to both men.